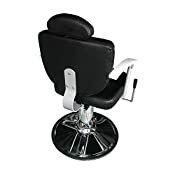 Do you want to buy a comfortable and professional barber chair? 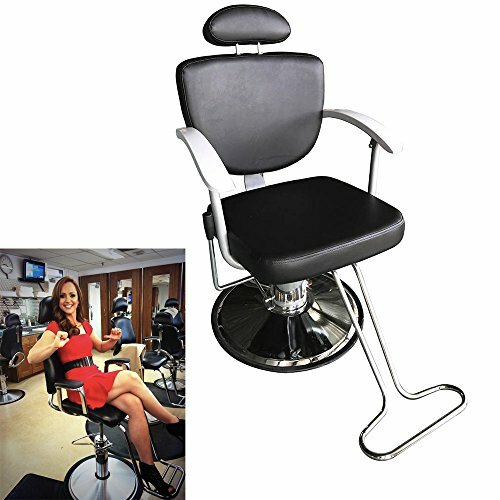 Here we glad to share you this Professional Portable Hydraulic Lift Man Barber Chair! 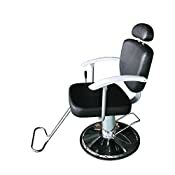 Made of high quality PVC leather & high density sponge & steel material, it provides more comfortable to your clients. Classical design makes it is suitable for any barbers shop. Designed of fine workmanship and sophisticated technology, it is more and more popular among barber shop! As to the price, it is not high for each budget-conscious consumer! Why not get one to have a try? 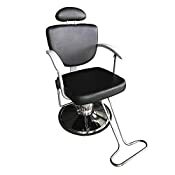 HIGH QUALITY: This Reclining Hydraulic Styling Chair made of high quality PVC leather & high density sponge & steel material, it provides more comfortable to your clients. POPULAR AMONG BARBER SHOP: Classical design makes it is suitable for any barbers shop. Designed of fine workmanship and sophisticated technology, it is more and more popular among barber shop! Perfect addition for Barbershop, Beauty Salons, Tattoo Parlors and more. 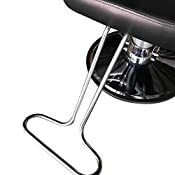 Backrest provides extra comfort for your clients with Heavy Duty Steel Frame. Heavy duty hydraulic pump make height adjustment easier. Features hydraulic lift, electroplating pedal, stainless steel handrail and large oil pump functions.